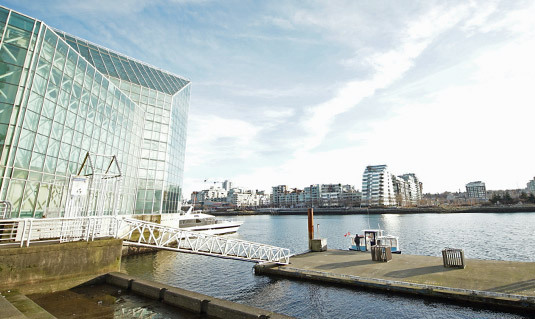 Our main ferry docks are easy to find. If you’re coming from the West End, just walk south, to the foot of Thurlow Street. The ferry dock is located on Sunset Beach, behind the Vancouver Aquatic Centre. 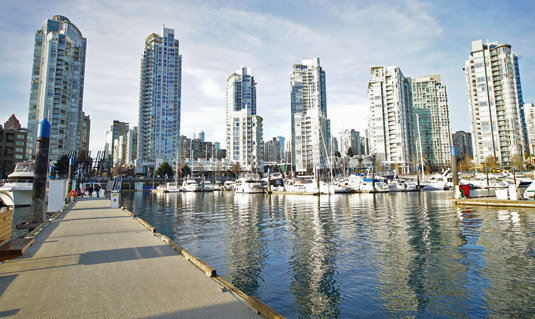 If you’re closer to Yaletown, you can catch the ferry at the foot of Davie Street, or from David Lam Park, at the foot of Homer Street. We have 4 ferry docks within 500m of SkyTrain. 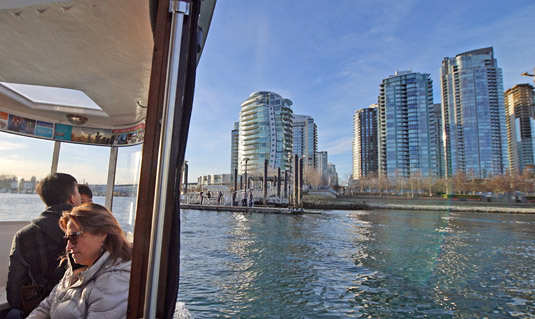 The Main St – Science World, Yaletown – Roundhouse, and Olympic Village stations are all within a 5 minute walk of a ferry terminal. Our dock is located at the north-west corner of the island at the foot of Duranleau & Johnston Streets, directly between the Public Market and Bridges Restaurant. Look for the iconic wooden arch over our ramp. This dock is the closest ferry stop to the West End and downtown Vancouver, at the foot of Thurlow Street. It is located directly behind the Aquatic Centre pool on Beach Avenue, just west of the Burrard Bridge, only a few steps off the Stanley Park seawall. Our dock is located on the seawall, behind the Erickson tower, near the corner of Beach Crescent and Homer Street. This dock is 500m from Yaletown – Roundhouse Station on the Canada Line. 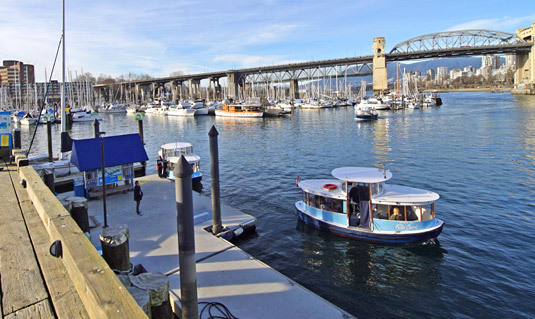 The False Creek Ferry dock is next to Heather Marina near Mahony & Son’s. 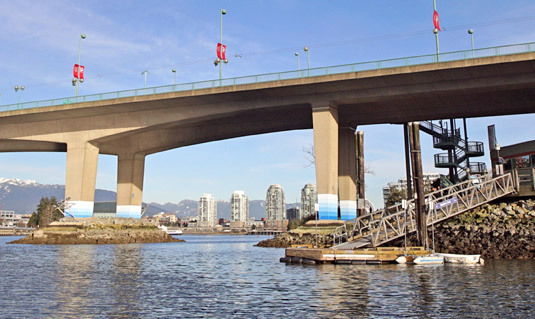 The False Creek Ferry dock is located at the foot of Spyglass Place directly beneath the Cambie Bridge. This dock is 500m from Olympic Village Station on the Canada Line. 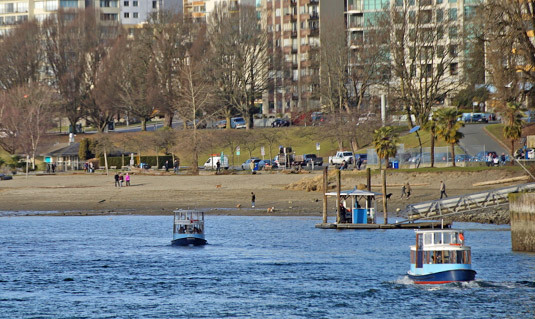 The False Creek Ferry dock is at the eastern foot of Davie Street. The ferries dock at the end of the long dock at Quayside Marina. This dock is 400m from Yaletown – Roundhouse Station on the Canada Line. 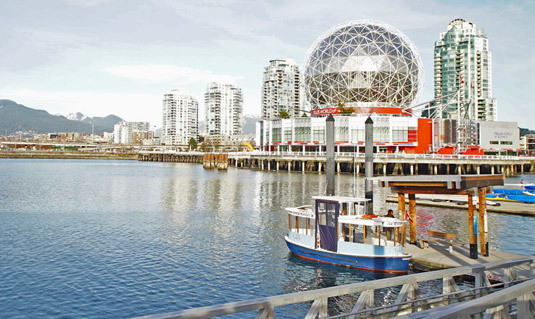 The False Creek Ferry dock is located on the waterfront near The Parq Casino, along the seawall. This dock is also next to BC Place Stadium and Roger’s Arena. 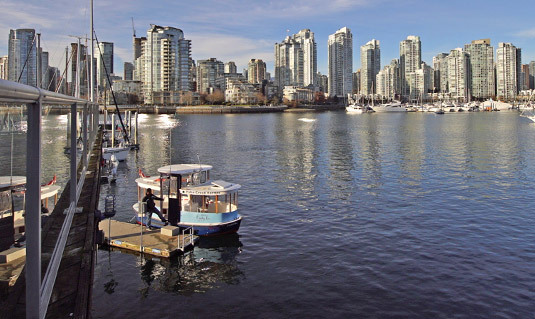 Our dock is located in the south east corner of False Creek, directly in front of the Creekside Community Centre, the Tap & Barrel pub, & the Village plaza. This dock is 500m from Main Street Station on the Expo Skytrain Line. Discover the amazing attractions located nearby our docks, or visit our trip planning page for information on routes, rates and schedules.